We just can't believe it's April already and that means our Holidays are that little bit closer. We asked our Buyers for their must haves to help you get ready for your 2012 holiday. You start getting in the holiday mood when you start packing your suitcase, so don't just settle for that tired old battered case, treat yourself to a new one. Our range of Sub 0 G have consistently been a best seller for the last 5 years, our luggage Buyer says "With airlines now being so strict on baggage charges avoid costly extras by using Sub 0 G luggage. 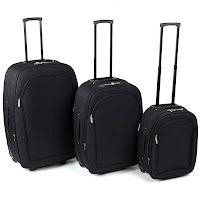 It is the lightest luggage in the world so now you don't have to choose between those 2 dresses because you can take both". That's good advice that we intend to take, the only decision we need to make now is which colour should we get?? This green floral print is our buyers favourite, she says "You'll be sure to spot your case first coming around the carousel with this funky print". The Sub 0 G range is not only the lightest luggage (it starts at just 1.85kg) it is has also exceeded the standards for loaded drop tests, handle strength tests and material tear resistance tests AND they have a 10 year guarantee. All of that from just £24.99?? Sounds like a great deal to us. This Constellation collection mixes both functionality and classic style and starts at an unbelievable £14.99. 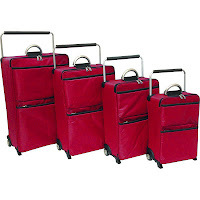 They have retractable handles, are expandable for extra space and are available in a range of sizes from 18"-28". Our buyer says "Our customers love this classic design and colour. This range is expandable so perfect for those who like to squeeze a bit extra in and at these prices we expect this range to fly out". We all know the dangers of spending too much time in the sun unprotected but with our range of sun care it has never been easier to get protected. Our beauty buyer says "The sun can have devastating effects on the skin including dark spots and premature ageing and can increase your chances of getting skin cancer. To ensure you are protected it is recommended that you use SPF15 or higher". 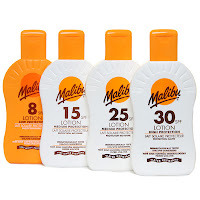 Malibu suncare is one of our most popular ranges and our Buyer says "Malibu make suncare products you can trust at prices you can afford. In our range we stock lotions, dry oil spray and tan extender moisturiser all for only £2.99 each. Look out for the aerosol spray coming soon." Riemann manufactures specialist skincare and defines themselves as creating products that work and this is why our beauty Buyer recommends it. She says "Riemann are the manufacturers of P20 suncare, the original once a day application sun protection. It goes on in the morning and dries in seconds and protects you and your family all day long, even after swimming. 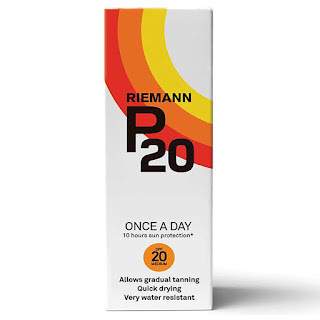 Riemann P20 is the brand you can trust and it is available in SPF10 or SPF20". As all girls know the only real way to have a healthy tan is by faking it. Our beauty Buyer says "Fake Bake is the brand loved by celebrities and now it is at TJ Hughes, starting at only £5.99. We have a range of products available including mistifier spray, tan enhancing lotion, oil free moisturiser, shimmer instant tan, bronzer instant tan, tanning butter, self tan mousse and tanning lotion". There is nothing worse than sore feet on your holiday, they can really spoil your fun, not to mention those unsightly blisters! 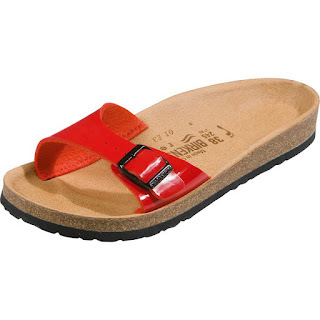 Our footwear Buyer says "Birkenstock sandals feature high quality materials and unique construction. The footbed is uniquely designed for long lasting comfort and better health". These sandals are a steal at just £22.99, that's a small price to pay for comfort. 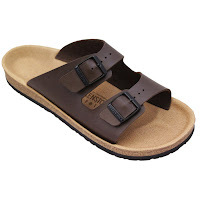 And we haven't forgotten you guys, we have men's Birkenstock too!! Available in black or brown and a bargain at just £24.99.